This vehicle is a beautiful New 2019 Mercedes-Benz S-Class S 560 and comes painted in a gorgeous selenite grey color. 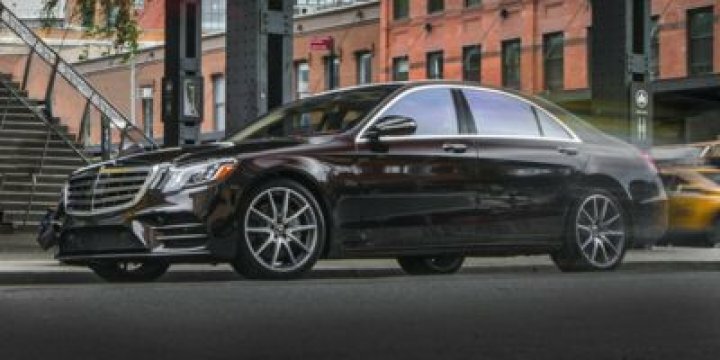 This new Mercedes-Benz S-Class also gets 27 miles to the gallon. Visit us at New Mercedes-Benz of Valencia in Santa Clarita to sit behind the wheel! Certain data and other content displayed herein is copyrighted. All rights reserved. All vehicles are subject to prior sale. While every attempt has been made to ensure the accuracy of the data displayed, HomeNet Automotive and the Dealer (New Mercedes-Benz of Valencia) are not responsible for any errors or omissions. All information is gathered from sources that are believed to be reliable, but no assurance is given that this information is complete and we cannot assume any responsibility for errors or omissions or warrant the accuracy of this information. * Based on 2019 EPA mileage estimates, reflecting new EPA fuel economy methods beginning with 2019 models. Use for comparison purposes only. Do not compare to models before 2008. Your actual mileage will vary depending on how you drive and maintain your vehicle.